Imagine you are driving on a windy country road, the sun setting in the background, and you’re headed to an exciting new experience. You park on the side of the road and walk down the long gravel driveway. In the distance you hear sounds of quiet chatter and metal. You walk past a homemade taco stand and beyond the trees, you stumble upon an experience unknown to you. You are not sure what to expect but you indulge your curiosity and see what happens. 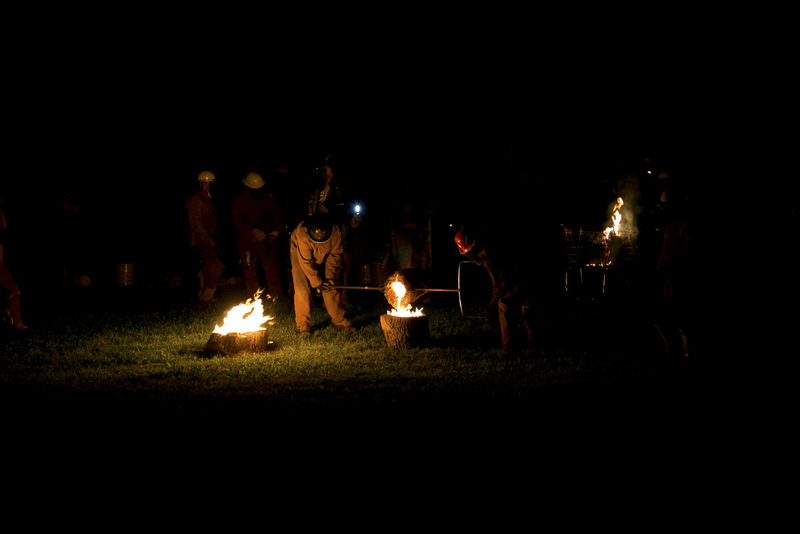 Last weekend, Kris and I went to our F I R S T annual iron pour event. Chris Meyer, the USD sculpture professor, hosted it at his home. It was nothing short of a H Y P N O T I Z I N G experience! I know what you all must be thinking, what is an iron pour? This in-depth process was foreign to me too, but I knew I had to experience it. Initially the molds are created. 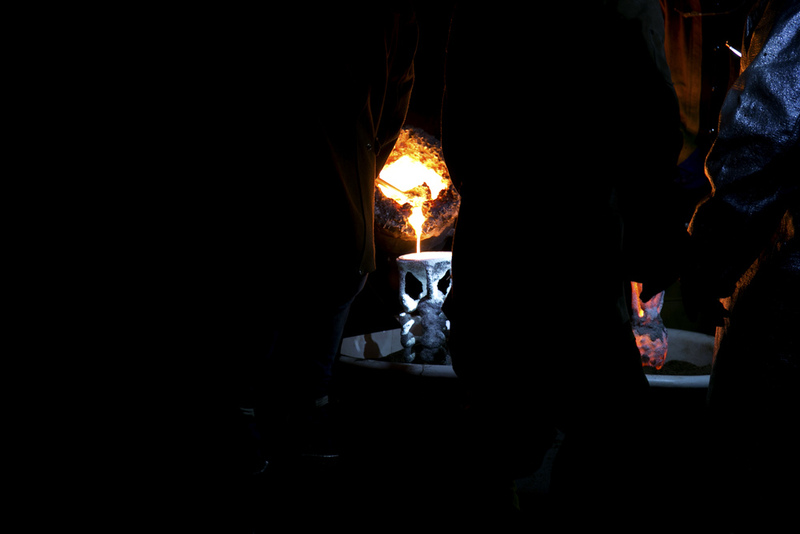 Then iron pieces are melted down in a large furnace, preparing them to the correct pouring temperature. The pour starts once the furnace is tapped and the iron is ready to flow. The workers will then place the iron into a ladle that is carried and poured into each individual mold. As I watched the workers in their protective gear, I felt like I was taken back in time. 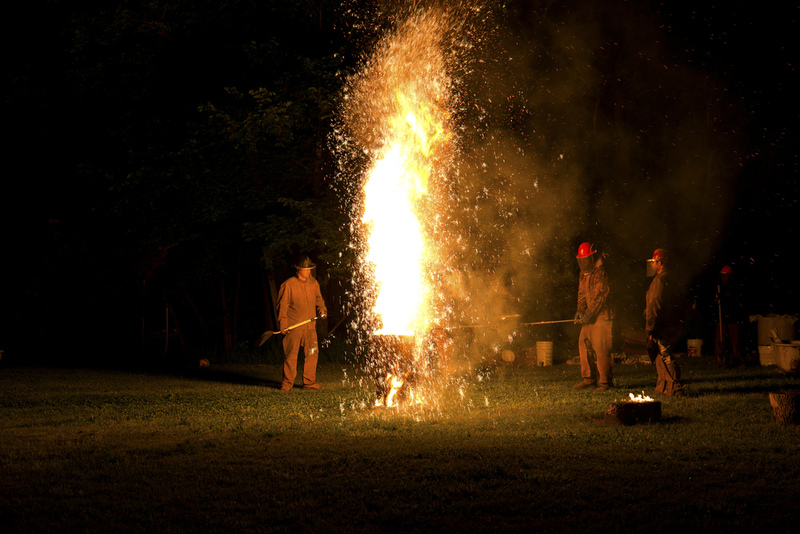 The sound of clanking metal, the golden glow of the fire, and the mesmerizing sparks of metal had me entranced for hours. 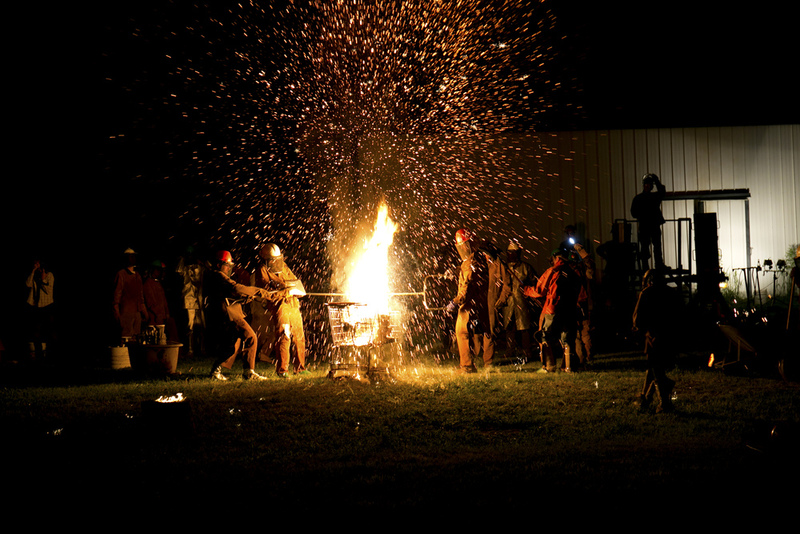 Observing sculptures of wood being consumed by these bright peaks of fire was fascinating. Having to experience this from afar let the flames run wild, rising high to the sky and bursting as they interacted with each sculpture.